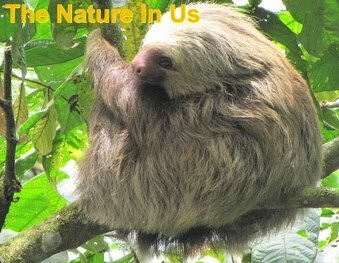 The Nature In Us: It's Up to YOU! Christians know that God moves in the affairs of men and nations. Critical issues face us today on every level. Crisis are before us at every turn; our families are broken, the social fabric of our culture that once was our strength is now torn and tattered, our government is ineffective at best and often wrong, our educational system is misguided, our economy is crumbling, and even many of our churches seem weak and ineffective. Christians know that only God holds the solution to our problems. A simple plan: Call Christians across our nation to a single focus, prayer. A single prayer: 2 Chronicles 7:14 — "If My People..."
A supernatural possibility: God will come down as His people daily, repeatedly, and fervently pray this one prayer. This call to prayer is exactly what it appears to be, nothing more and surely nothing less. Some may question the motive or agenda. The motive is to call God’s people to pray and allow the Word of God to work into their spirits and out through their actions. There is no agenda or movement planned. However, we know that when the Spirit begins to move in His people He will direct them into action. There are no actions anticipated by this call to prayer, but God will surely work in the hearts of men and women and actions will result. On September 1 this website will begin posting daily prayer guides and directions for intercession for our nation. It has been said that intercessory prayer is the highest form of prayer. Intercession is coming before God on behalf of others, calling on God for those who do know Him, who do not call on Him. Join this vital call for intercession. Be a prayer group leader or join a prayer group. God can and will use you to change America. Simply visit this website to know How to Begin and please pray for our nation.